The Generic Design Assessment is the four-step process through which a new nuclear reactor design obtains approval for use in the UK from the UK nuclear regulators. The Office for Nuclear Regulation (ONR) and the Environment Agency (EA) ensure that new nuclear power stations built in the UK meet high standards of safety, security, environmental protection and waste management. It is an open and transparent process that encourages comments from interested parties. Please see our Comment page for information on how to engage in the process. The GDA process will look at the safety, security and environmental aspects of the UK HPR1000 reactor design. The process has a number of steps, with the assessments getting increasingly detailed. As the Requesting Party, we will submit certain documents to the regulators for review at each stage. Following their assessment at the end of each stage, the regulators will publish reports on their findings and highlight any concerns or technical issues that have been raised. The table below summarises the four steps of the process and the submissions to be made to the regulators. We will publish our submissions on our website, other than parts which contain sensitive nuclear information, export-controlled information or commercially confidential information. The GDA process does not cover nuclear policy and principles, nor does it address the strategic siting of nuclear power stations. Further information on these topics can be found on the Department for Business, Energy and Strategy’s (BEIS) website. The GDA process for the UK HPR1000 is targeted to take five years from the start of Step 1, as shown in the diagram below. 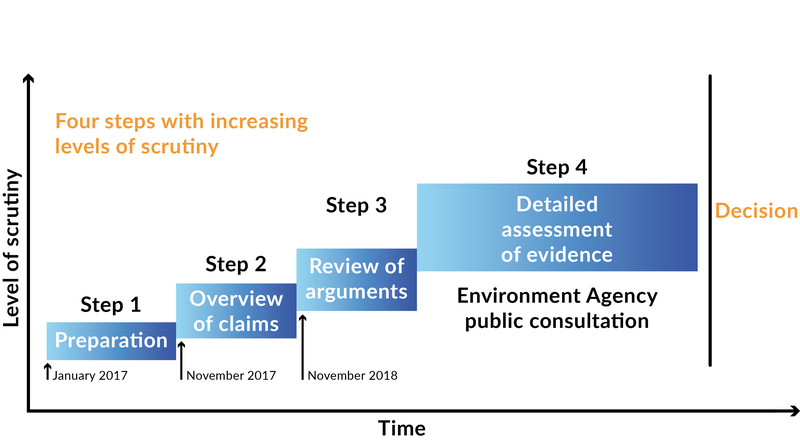 At the end of Stage 3, the Environment Agency (EA) will hold a public consultation to seek views on its preliminary conclusions of the detailed assessment to date. The consultation will help inform the EA’s decision on whether to issue a statement of design acceptability. More information is available on the EA website. On completion of the GDA process, the regulators will issue reports on their findings along with the supporting technical assessment reports. If the design is judged to be satisfactory, the ONR will issue a Design Acceptance Confirmation (DAC) and the EA will issue a Statement of Design Acceptability (SoDA). Where the regulators judge that there are significant, unacceptable shortfalls in the design or our submissions, then a DAC or SoDA will not be issued. It would be a matter for us as the Requesting Party to decide whether to propose additional work to address the shortfalls, which may allow the regulators to issue a DAC or SoDA at some future date. allows for the separation of design issues from specific site related issues, which is likely to be beneficial where the generic design is intended for construction on a number of different sites. leads to generic Pre‐Construction Safety, Environmental and Security Reports and (if the design is considered acceptable) to a DAC/SoDA, which can all be used in subsequent nuclear site licence applications and environmental permit applications. 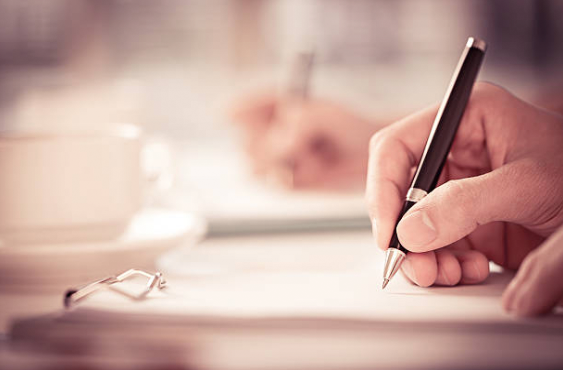 At each step, we will issue documents to the regulators and publish them on the Documents library of our website. To assist with wider understanding of the subject matter, we may, where relevant, publish additional information where we feel it would be appropriate and useful to do so. 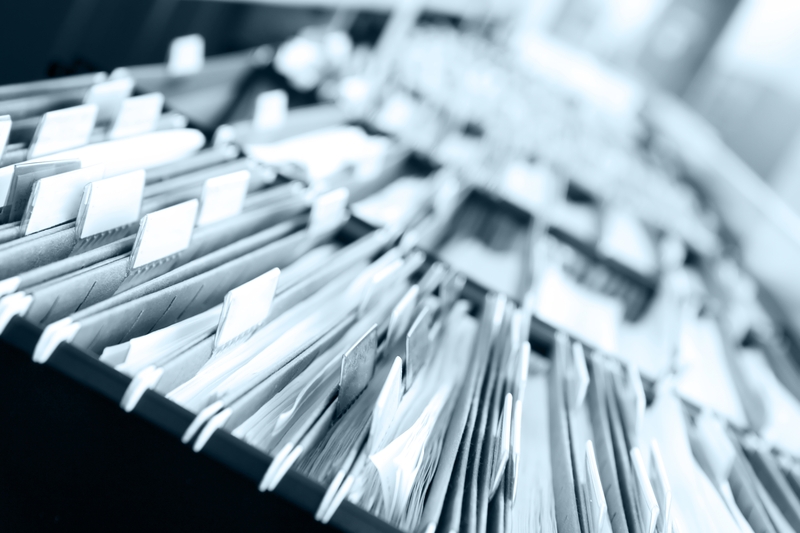 These documents will be clearly marked as being separate from the formal regulatory submissions. You are welcome to make a comment on the reactor design information and the formal regulatory submissions. We shall consider all relevant comments and seek to respond within 30 days. We will share all comments received, along with our responses, with the regulators. The GDA does not address the principle of nuclear or the strategic siting assessment, and any comments made on these will be considered out of scope for the comments process. The GDA process is just one step in the development of a new nuclear power station. Our Wider context page explains the wider process in more detail. Further information on the GDA process can also be found on the regulators’ joint GDA website.